John's Labour blog: "Disciplinary procedures: six common mistakes made by inexperienced managers"
"Disciplinary procedures: six common mistakes made by inexperienced managers"
Hat tip Personnel Today and UNISON Scottish Community sector on Facebook. "Employers often spend a large amount of time drafting a fair disciplinary policy, but fail to give the same attention to training their staff to put it into practice. Fiona Cuming sets out six common mistakes made by inexperienced managers. Managers need to be familiar with the Acas code of practice on disciplinary and grievance procedures, as well as their own disciplinary rules and procedures. Although a failure to follow the code does not in itself make an employer liable to proceedings, employment tribunals will take the code into account when considering relevant cases. The employee must be made fully aware of the likely disciplinary penalties if the allegations are upheld. Depending on the seriousness of the allegations, the possible penalty might be a formal verbal warning, a written warning, a final written warning or indeed dismissal. In short, the disciplinary decision should not contain any surprises. It can be tempting to add any new allegations that surface during a disciplinary investigation to the current ones that are subject to the disciplinary process. This is not advisable, as any fresh allegations must be fully investigated before a disciplinary hearing takes place. Managers should consider what type of penalty has been imposed in similar cases in the past. They should then bear in mind the particular circumstances. This can include the employee’s disciplinary record, his or her general work record and position within the organisation as well as length of service. 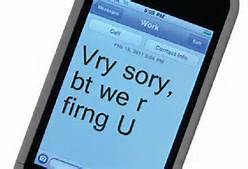 Managers must also take into account any mitigating circumstances. This could cover matters relating to the employee’s health, any domestic problems, or whether or not the behaviour in question arose due to the employee being provoked. If the employee has breached a rule, consideration needs to be given to whether or not the employee was reasonably aware of that rule. Only in very serious cases will summary dismissal for a first offence be merited. In cases of minor misconduct, a series of warnings before dismissal will be more fitting. In Thomson v Imperial College NHS Trust, the disciplinary manager dismissed Dr Thomson for gross misconduct even though he did not find the behaviour in question amounted to gross misconduct. He took account of a prior first written warning. The tribunal found the dismissal was unfair because the trust’s own policy only allowed for summary dismissal for conduct that, of itself, did not amount to gross misconduct, where the employee had received a previous final written warning and not a first one. The Employment Appeal Tribunal (EAT) upheld the tribunal’s decision. It found that the “absence of training or experience” of the disciplinary manager was “something that directly affected the fairness of the disciplinary proceedings”. Employers sometimes struggle to categorise the type of behaviour that has given rise to the allegation. A dismissal will be considered unfair, even if the employee could have been dismissed fairly on the facts, if the stated reason for the dismissal is incorrect. In Jinadu v Docklands Buses Ltd, Ms Jinadu, a bus driver, was dismissed because she had refused to attend a training centre to assess her driving skills. She appealed and this was adjourned to allow her to attend a driving assessment, which she finally agreed to do. She failed the assessment and was dismissed when the appeal panel reconvened. Ms Jinadu brought a claim of unfair dismissal in the employment tribunal. She was not successful and she appealed the decision. The EAT sent the case back to the tribunal to determine as a starting point the correct reason for her dismissal".